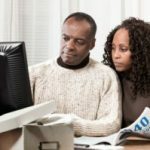 Filing Taxes: What are You Worried About? Tax Day is less than two weeks away, and taxpayers across the country are worried. According the results of a recent survey by CCH CompleteTax, nearly two-thirds of tax filers are concerned that they might overlook tax breaks or make mistakes that could result in penalties. And it looks like they’re right to be worried. Less than half could identify the education-related tax break offering the greatest savings. Another scary statistic is that only about half of taxpayers are taking advantage of tax-advantaged retirement plans in 2009. To be fair, 18% of those surveyed are already retired, but… Roughly one-third of the non-retirees in the survey didn’t contribute last year, and don’t plan on doing so this year, either. In case you’re curious, here are the full results of the survey. How Long Should it Take to Do My Taxes? I have no worries 🙂 I agree that things can get really complicated with taxes, and I don’t always know the right thing to do without some research. For the most part, the only people I know still sitting on their taxes are people who owe . . . that’s reason to worry. If you’ve already filed your taxes you can take it to H&R Block this week for a free review. It’s usually like $29. What am I worried about? The fact that even though I’ve only been working for four weeks so far this year, I still owe my estimated payment equal to 1/4 of my entire tax bill for 2009 on April 15th…oof. People are so badly uninformed about the whole process of taxation. People don’t know or can’t keep up with changing tax laws, and there is already such a feeling of resentment over paying taxes because no one is really clear on where and how they are spent. I wish there was some way the government could communicate better with people without insulting the intelligence of some and going over the heads of others. The education-related tax breaks are especially important since many families this year have slipped into debt or are in danger of falling into debt, yet are trying to keep one or more children enrolled in college. What are the easiest ways to identify the best tax breaks for the average family? Given the questions I get at my tax blog, this doesn’t surprise me at all. The general level of knowledge about taxation is even worse than the level of knowledge about other personal finance topics. And that’s really saying something.